It seems that the masses and most of the financial media hate hedge funds and what they do, but why is this hatred of hedge funds so prominent? At the end of the day, these asset management firms do not gamble the hard-earned money of the people who are on the edge of poverty. Truth be told, most hedge fund managers and other smaller players within this industry are very smart and skilled investors. Of course, they may also make wrong bets in some instances, but no one knows what the future holds and how market participants will react to the bountiful news that floods in each day. The S&P 500 Index gained 7.6% in the 12 month-period that ended November 21, while less than 49% of its stocks beat the benchmark. In contrast, the 30 most popular mid-cap stocks among the top hedge fund investors tracked by the Insider Monkey team returned 18% over the same period, which provides evidence that these money managers do have great stock picking abilities. 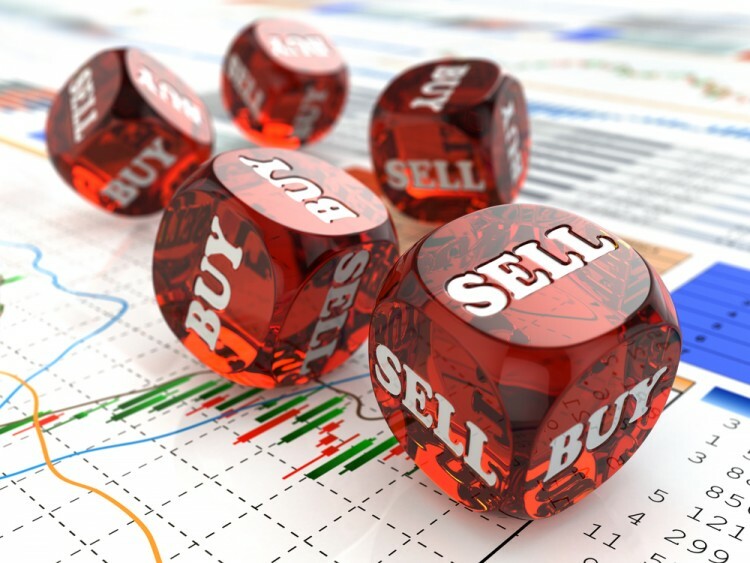 That’s why we believe it isn’t a waste of time to check out hedge fund sentiment before you invest in a stock like Meridian Bancorp, Inc. (NASDAQ:EBSB) . Meridian Bancorp, Inc. (NASDAQ:EBSB) was in 13 hedge funds’ portfolios at the end of the third quarter of 2016. EBSB investors should be aware of a decrease in activity from the world’s largest hedge funds in recent months. There were 14 hedge funds in our database with EBSB holdings at the end of the previous quarter. The level and the change in hedge fund popularity aren’t the only variables you need to analyze to decipher hedge funds’ perspectives. A stock may witness a boost in popularity but it may still be less popular than similarly priced stocks. That’s why at the end of this article we will examine companies such as Energy Recovery, Inc. (NASDAQ:ERII), Raven Industries, Inc. (NASDAQ:RAVN), and TCP Capital Corp (NASDAQ:TCPC) to gather more data points. How are hedge funds trading Meridian Bancorp, Inc. (NASDAQ:EBSB)? At the end of the third quarter, a total of 13 of the hedge funds tracked by Insider Monkey were bullish on this stock, down by 7% from the previous quarter. 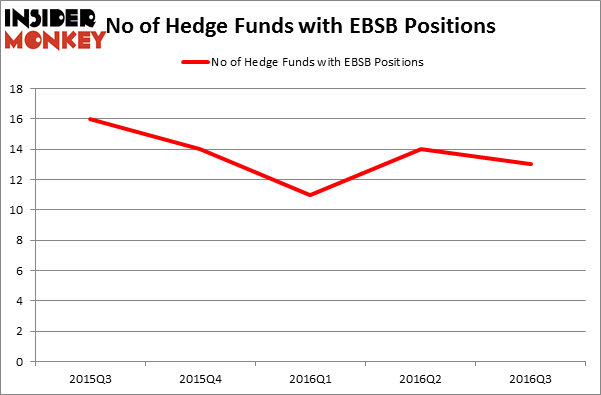 The graph below displays the number of hedge funds with bullish position in EBSB over the last 5 quarters. So, let’s see which hedge funds were among the top holders of the stock and which hedge funds were making big moves. According to Insider Monkey’s hedge fund database, Phill Gross and Robert Atchinson of Adage Capital Management holds the number one position in Meridian Bancorp, Inc. (NASDAQ:EBSB) which has a $24.9 million position in the stock. Sitting at the No. 2 spot is Emanuel J. Friedman of EJF Capital, with a $23.4 million position; 1.9% of its 13F portfolio is allocated to the company. Some other peers that hold long positions encompass Renaissance Technologies which is one of the 10 biggest hedge funds in the world, Neil Chriss’ Hutchin Hill Capital and Michael Kaine’s Numina Capital. We should note that none of these hedge funds are among our list of the 100 best performing hedge funds which is based on the performance of their 13F long positions in non-microcap stocks. How BOK Financial Corporation (BOKF) Stacks Up Against Its Peers How Bridgepoint Education Inc (BPI) Stacks Up Against Its Peers Is Super Micro Computer, Inc. (SMCI) a Good Stock to Buy? Do Hedge Funds Love Sterling Bancorp (STL)? Is CAE, Inc. (USA) (CAE) A Good Stock To Buy Right Now? Is B2Gold Corp (BTG) A Good Stock To Buy?